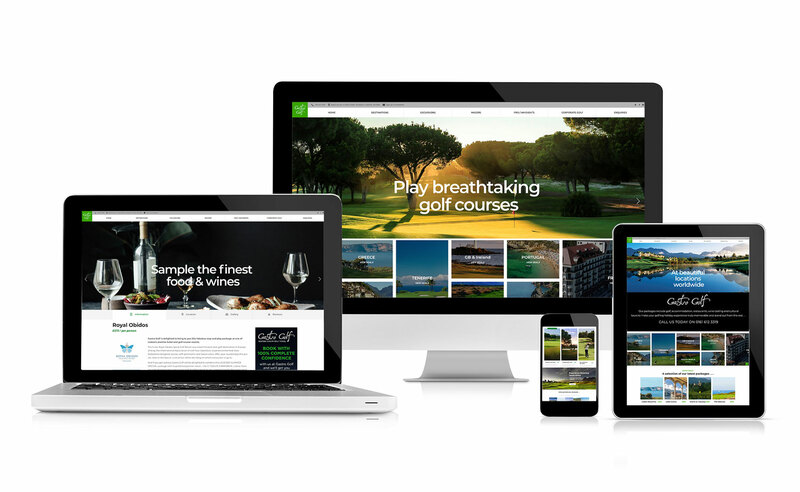 Luxury golf breaks specialist Gastro Golf launches new user-friendly site. Luxury golf breaks specialist, Gastro Golf has launched a new website to showcase their destinations and golf courses around the world. The new fully-responsive site - www.gastrogolf.co.uk – has been designed with the user-experience firmly in mind. With improved navigation and functionality, customers can easily access detailed resort and golf course information, images and cutting-edge video content across the full-range of digital devices - and with the huge growth in social media use it also offers the opportunity to easily share pages across all of the major platforms. "Our web site is the first point of contact with our golfing customers and a shop window for our target audience," said Gastro Golf founder and marketing director John Sullivan. "It needs to be informative, have a high quality visual impact and leave our customers in no doubt that we are at the top of our game when it comes to creating bespoke golfing holidays with a gastronomic flavour anywhere in the world. "I am delighted with our new web site, it delivers on all these fronts. For each destination we have the latest tourist board video, outstanding imagery and full information on a range of high profile destinations, tailor-made excursions on some of the best courses at the best golf resorts available in Europe and beyond." A no-nonsense menu bar enables visitors to go quickly around the web site, sign up to receive regular Gastro Golf news letters and even make an enquiry about our Corporate golf days and events. And it's not just the European destinations, Gastro Golf is expanding into some far-flung destinations. With South Africa already featuring, selected destinations from the U.A.E. & South East Asia will be added to the web site in the coming months. "The plan has always been to include these vibrant golf tourism destinations and as the world gets smaller golfers are prepared to travel further in pursuit of a varied golfing & cultural experience," added Sullivan. "As the emerging specialist in the luxury bespoke golf holiday market we work with some of the finest golf locations & suppliers and have secured a selection of top quality packages that we feel will appeal to our existing client database and encourage new business opportunities with private and corporate clients. Top selling all inclusive holiday by Golf Holidays Direct for £339!